"Date's Iron Wall", a matcha (green tea) cake set. Each order comes with a collectable coaster. 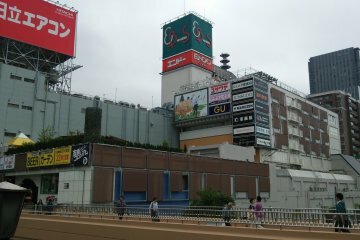 Animate is a national chain of stores selling all things manga and anime. 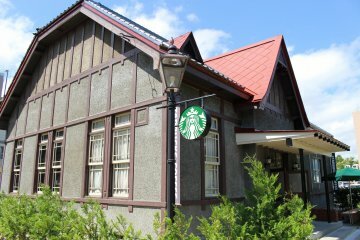 There are fewer cafes; Sendai is the newest, following the relocation of Animate to the E-Beans building near Sendai station. The draw is that they are thematic, featuring decorations, food, cosplaying staff and limited edition goods from a particular manga/anime. 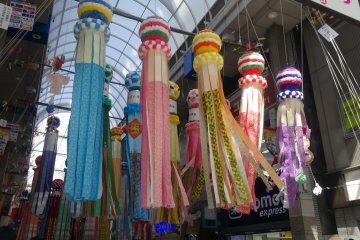 The theme changes regularly, anywhere from one month to five months. 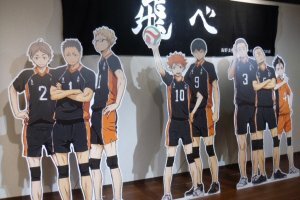 When I went, the anime was Haikyu. 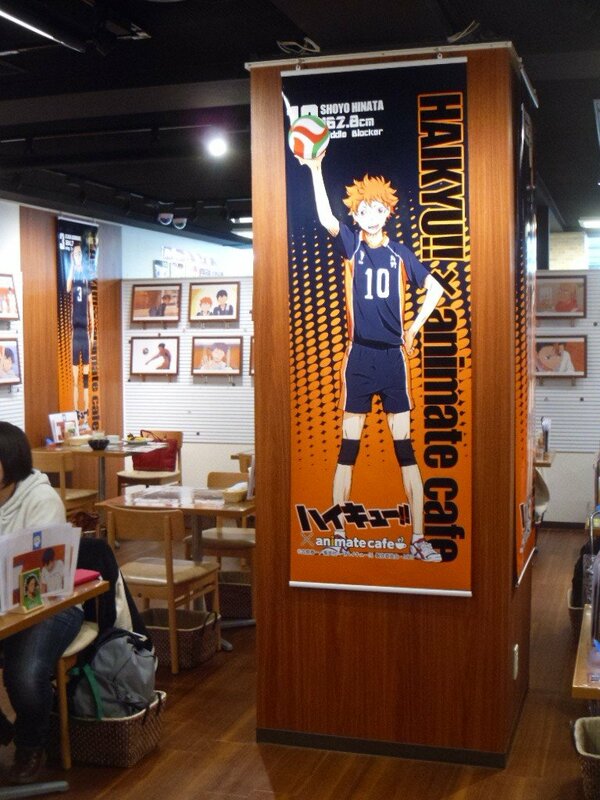 Haikyu is a volleyball manga-turned-anime drawn by a Tohoku-born manga artist who went to university in Sendai. A perfect fit for the cafe's grand opening. The walls were covered in screenshots, banners and two TVs showing clips of the anime. 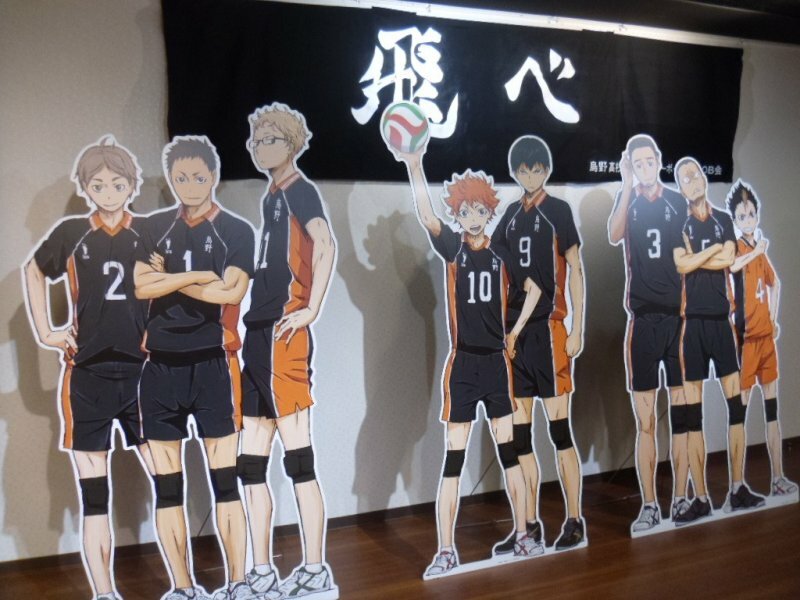 In one corner were cardboard cut-outs of the characters and even physical volleyball uniforms and balls. 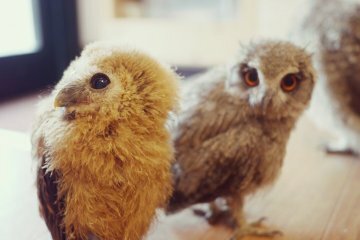 Novelty is popular in Japan, and getting in at the weekend is probably a lost cause. 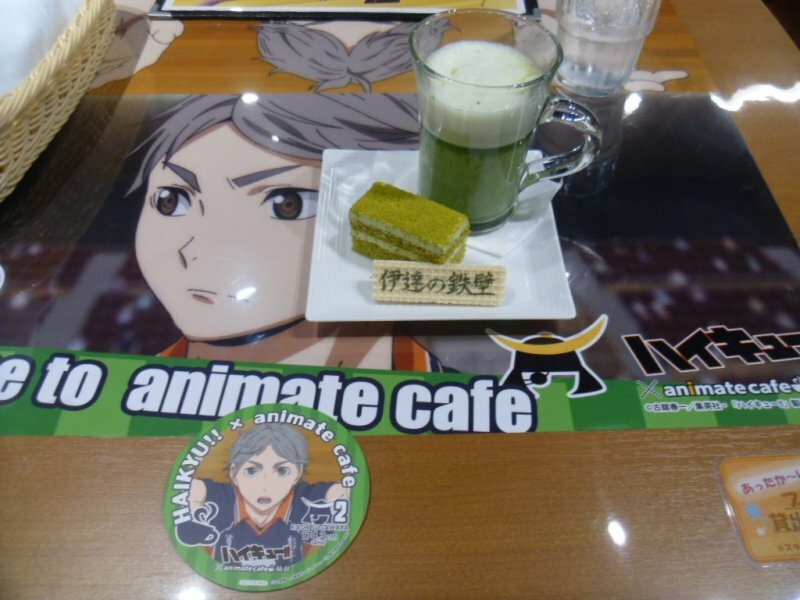 Reservations can be made online if you have an Animate card, or in person at the small shop next to the cafe. Your best bet is a weekday, though. On a Monday morning, the cafe wasn't even full. When you go in, you swap your reservation ticket for a plastic tag with your table number on it – you take this to the register to pay. For first timers, a look at the “requests” is a good idea. The requests, while phrased very politely, are basically the cafe's rules. Smoking, paying separately, taking videos, and uploading photos of cosplaying staff without permission are not allowed. It also helpfully mentions that certain things like condiments and water refills are self-serve, and if you're busy walking around when your order comes, your food will be left on your table. I chose a Sendai-only cake set, called “Date's Iron Wall” (an amusing combination of Date Masamune and an impregnable defense – useful in volleyball). 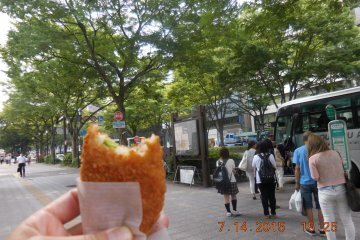 It was a matcha (green tea) drink and a small piece of matcha cake. 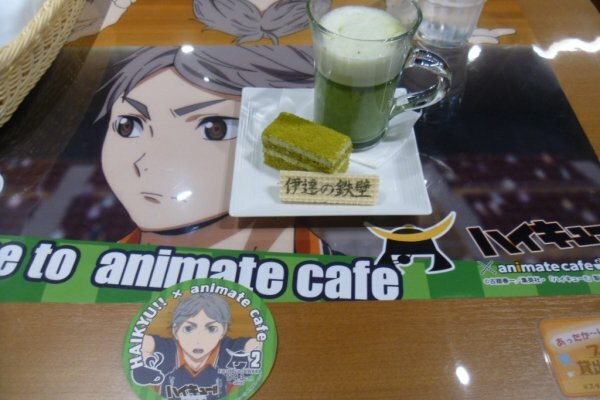 It was served with a character coaster. Sadly, the food isn't a strong point - the flavor was lacking and the drink was thin. The drink was obviously made from water and paste – I found some unmixed paste in the bottom of my glass. 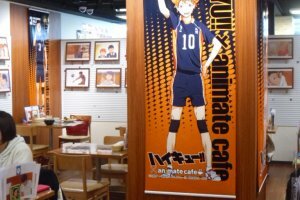 The cafe is aimed at the anime's audience, which for Haikyu appears to be women (they made up 99% of the customers when I was there). 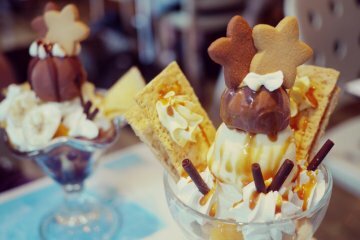 The stereotypical Japanese woman likes small portions and sweet food, so that's what is served. When I went to pay, I was informed that there was a janken taikai (rock, scissors, paper contest) with prizes, but I thought I'd leave it to the fans. 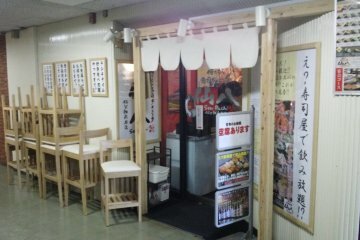 I was offered a boiled sweet as I left, but it wasn't enough to soothe my disappointment at the price of the main food. 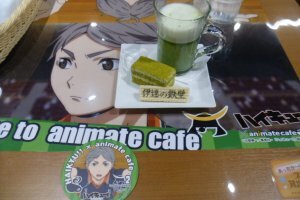 This Animate cafe had a great atmosphere, and there was clear attention to detail. But visits are probably best left to fans, as food lovers won't enjoy the quality to price ratio. It's crazy how we used to see the picture of Japanese real lifestyle in anime or manga everyday. And at the same time, we can feel how live in those anime and manga in the real life.